With the right suggestions, your outdoor building will make money for you. If you don’t already have an outdoor building, then think about an investment in one. A steel building selection is the best choice for some of the tips that we give you in this article. Here are 5 ways to make money from your outdoor building. 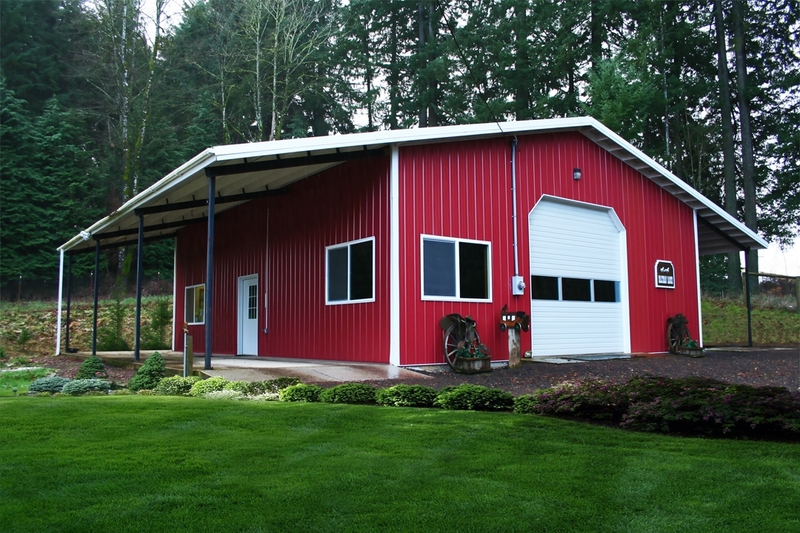 Steel building systems are great to raise livestock. If you invest in the right type of animal for your area, you make money when you sell the animals. Another suggestion is to get some chickens and sell their eggs to make a little money on the side. You could even raise a litter of cats or dogs in your outdoor building. Turn your outdoor building into a gallery. If you are an artist, use this space to hang up your creations. People will love to see what you display and you might even sell a few pieces of art from this outdoor room. This also saves the rental costs of gallery space. If you have a big enough space for your outdoor building, it will work well for overnight guests stays. If you want to make a little money, you could rent out space to a tenant. Steel buildings are energy efficient so the costs are low. Then, decorate and make the interior of the building feel homey and learn what the local regulations are before you rent it out to a tenant. For those people who run their own business, why not turn your outdoor building into your office space? You will save money on rent for your current office and you can work from the comfort of your own home. Everyone with an entrepreneur mindset loves to work from their own home office. This saves the expensive rental price tag on downtown professional office space and the price of gas to travel to and from work. If you are skilled in something like a musical instrument or a subject, why not turn your outdoor building into a teaching space? Often, people feel that their students would be distracted in their homes by the noise of other family members, so an outdoor building works really well. Decorate the area for good teaching conditions with nice lights and furniture. However, ensure that your outside building is secure to keep your things safe.